Every year, rabies kills thousands of children and adults around the world. This doesn’t have to happen. You can save lives by supporting an Ohio State program that vaccinates dogs against the disease. We don’t worry much about rabies in the United States, but globally the viral disease kills nearly 60,000 people every year, half of them children. While we could end the threat of rabies by vaccinating dogs, those vaccines aren’t readily available in rural, impoverished communities. And in Africa and Asia, where nearly all rabies deaths occur, a post-bite treatment can cost more than a household’s monthly salary — forcing some families to choose between selling desperately needed livestock or allowing a family member to die. An Ohio State rabies prevention team was walking down an alley in Ethiopia, training government employees to vaccinate community dogs, when they heard a child scream. They saw a man running and bleeding. Chasing behind him was a dog — a family pet — that clearly wasn’t acting right. The rabid dog was captured and humanely euthanized, and the man received life-saving treatment. The outcome could have been much different: Rabies kills an estimated 2,700 Ethiopians each year. The Global One Health initiative helps countries like Ethiopia develop effective rabies prevention programs. The threat is real: During a recent four-week training campaign, the rabies vaccination team encountered five rabid dogs, said O’Quin, who leads the rabies program. To combat it, we’re providing the tools and training needed to respond to rabid dog attacks and to conduct the mass vaccination of millions of dogs in order to halt the spread of rabies. We have trained 80 people, and they have vaccinated more than 22,000 dogs. Rabies is almost always fatal — and entirely preventable. You can help keep dogs healthy and save the lives of men, women and children. Just $10 will help us provide 10 vaccines. A gift of $40 will quarantine a biting dog for 10 days, while $50 will pay for a rabies officer to attend a local three-day training. Your impact will quickly add up. Animals play and integral role in our lives and in the academic programs at Ohio State. 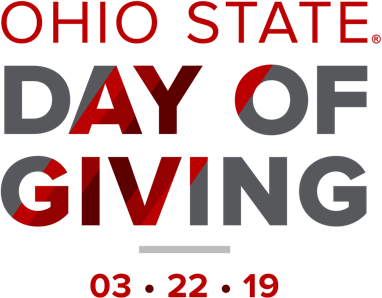 Through your generous gifts, we can support the care of animals in need and fund education, research and special programs that enrich the lives of animals, students and the Ohio State community. Provides discretionary funds to be used for the benefit of the Veterinary Medical Center. Used to purchase and maintain equipment and technology for the Veterinary Clinical and Professional Skills Center. Provides funds for the building of an Equine Lameness Arena Fund. Used to support residents of the combined veterinary pathology residency/PhD program. Supports the expansion of our emergency and critical care space at the Veterinary Medical Center. To provide learning opportunities for professional and graduate students pertaining to Global Health Programs. supports the Shelter Surgery and Medicine Program in Veterinary Clinical Sciences.